At an era of following the overwhelming conformity, people who have noteworthy conduct and independent character are as dazzling as pearls of the deep sea. They are confident and independent and dare to express authentic personalities. They are vanguards who inherit oriental essence and pioneering spirit. They advocate classic and manifest “classic” in a more fashionable and modern way. It is exactly the same that Beijing Watch Replica “Original Watch” inherits classic work of an era and fully manifests watch wearers’ unique ego style. Progress invariably signifies clockwise direction. 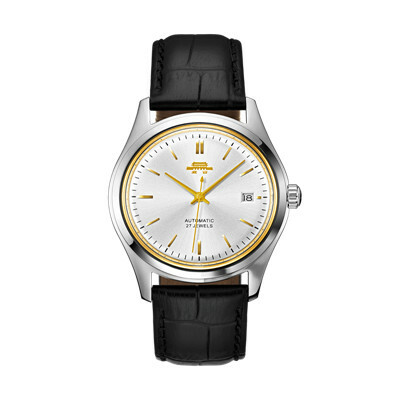 “Original Watch” was the first wristwatch launched by Beijing Brand in 1958. It has led the fashion of an era, but also has represented its authentic strength and status obtained since the beginning of establishment. 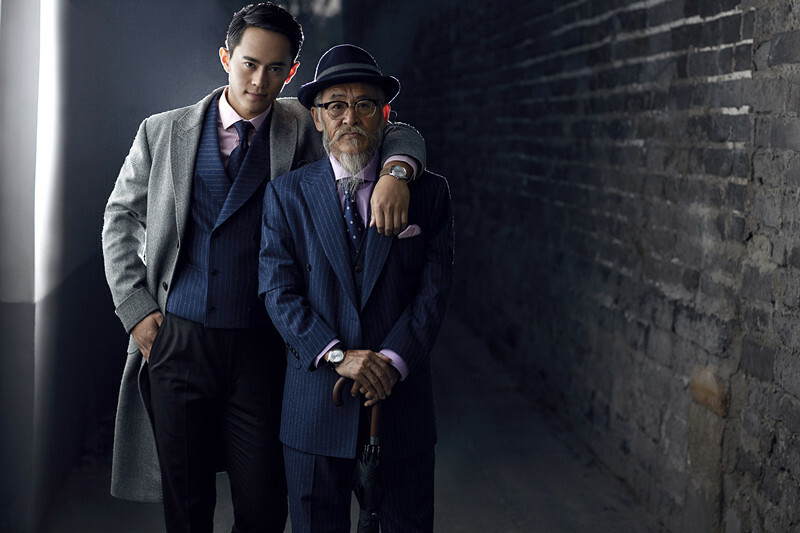 It replicates the “Original Watch” of Beijing brand and pays tribute to the pioneering spirt which originated in 1958 and consistently promotes forward development of brand. Since its brand establishment in 1958, Beijing Watch consistently remains dedicated to independent production of high-complexity movement and customization of high-end wrist watch and uses distinctive pioneering spirit to promote brand progress and forward development along with vicissitudes of times. When Peng Zhen was Mayor of Beijing Municipality Peng Zhen in 1958, he successfully impelled that 21 watch-making pioneers combined superb techniques and exquisite aesthetic design, produced the first batch of 17 pieces of “Original Watches” and initiated watch-making process of Beijing Watch since then. With smooth lines and thin-type form, “Original Watch” is matched with golden dial and nailing strip with great exquisiteness, which had led the fashion of an era. At the present time, this classic wristwatch is still sought-after by numerous watch lovers with overwhelmingly distinctive style. In order to continue the pioneering spirit which originated in 1958 and consistently promotes forward brand development, Beijing Watch launches brand-new Replica Original Watch” and creates timeless and maverick fashionable watch. Replica “Original Watch” is equipped with orderly lines and contours as well as thin-type and exquisite dial. The glass surface made of classic material acrylic glass has a certain arc and consequently has abundant stereoscopic feelings. 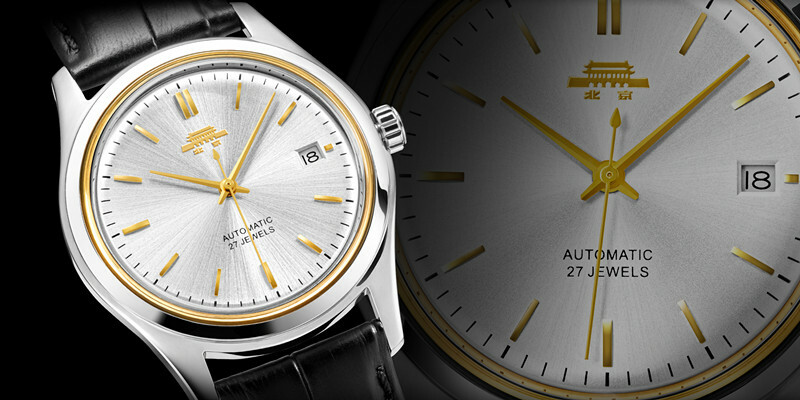 Gold plated sword-shape hand and time scale add radiance and beauty to each other on silver-color dial. Each replica “Original Watch” has a unique serial number and engraves unique “BJ” imprint of Beijing Watch on crown or case back. This imprint integrates symmetrical balance of architectural aesthetics of Forbidden City and square fret structure of oriental pattern aesthetics. Each piece of high-end wristwatch bearing “BJ” imprint retains the essence of hand-made production to the utmost extent and embodies quality and value. In addition to classic black cow-leather watchstrap, a watchstrap which uses crazy horse leather which concurrently has frosted and fine-fleece texture is also complementarily attached for alternate use. Along with the passage of wearing time, the scratch left on crazy horse leather will have increasingly more gloss and gorgeousness along with the passage of time and become owner’s unique story. With the pioneering spirit inherited since brand establishment, Beijing Watch launches Imperial Palace Gift Box of Replica Original Watch which extracts inspiration from extreme simplicity oriental aesthetics and architecture. It is matched with specially selected paper materials to present low-profile but luxury quality feelings. Its tactile impression is a little bit fleecy. The obverse side is imprinted brand logo of Beijing Watch. Tian'anmen Rostrum is combined with gilt-edged “Beijing” characters to fully manifest international and fashionable style, which can be revealed by the pierced “L” shape. It breakthroughs the opening method of conventional up-and-bottom cover and it is a box which can be pushed open. The pierced “L form” extracts inspiration from extreme-simplicity connotations characterized by “Less is More” and it is concurrently the gear which opens Gift Box”. Replica “Original Watch” is displayed at right side. The fashion and vogue of an era remains to be timeless classic up to this day. Remarkable logo of Beijing brand is printed on black box cover at left side. The internal part is divided into two layers. A piece of exquisite red Tian’anmen brooch and complimentary crazy horse leather watchstrap are placed at upper layer. The leather material which concurrently has frosted and fleecy texture brings about previously unimagined rough style. Identity credential and usage speciation of wristwatch are placed at lower layer.